These weakly sprawling plants frequently root at the nodes. 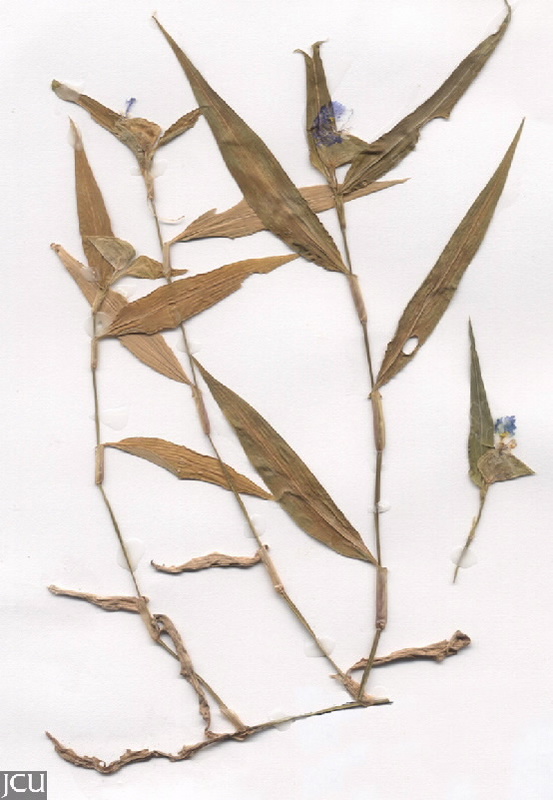 Leaves are lanceolate with the base sheathing the stem. 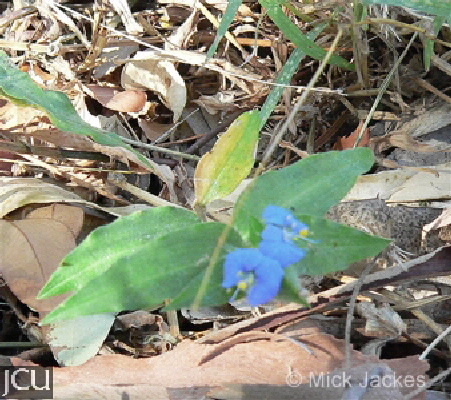 The flowers, which are partially enclosed in a spathe, that is fused towards the base, the 3 blue petals are unequal in size, one is much smaller. This species is becoming a garden weed.